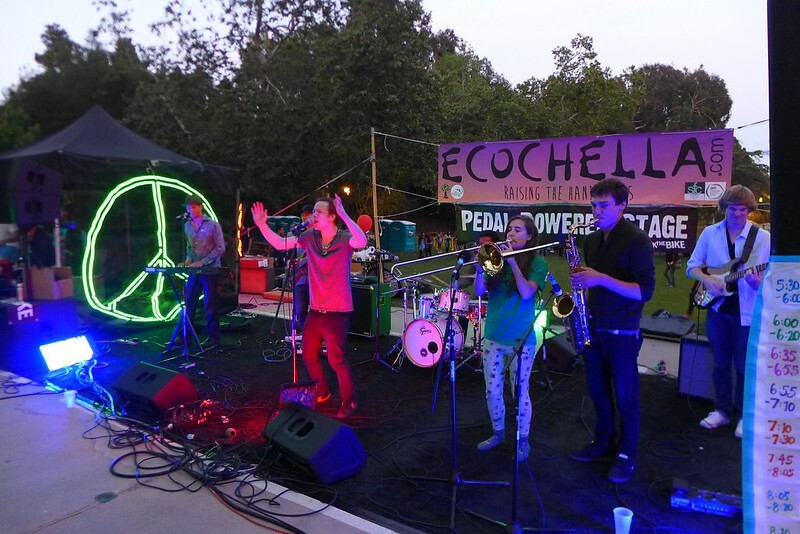 Ecochella was a student-produced live music event on the UCLA campus that was completely bike-powered thanks to our Pedal Powered Stage. We drove down to LA in a loaned pickup truck, carrying with us a 12-bike system ready for an audience of up to 1000 students. The size ended up closer to 500, but the cool part was how engaged those students were. We had solid Pedal Power, great music, and a climactic all-up-front closer, the Dustbowl Revival. 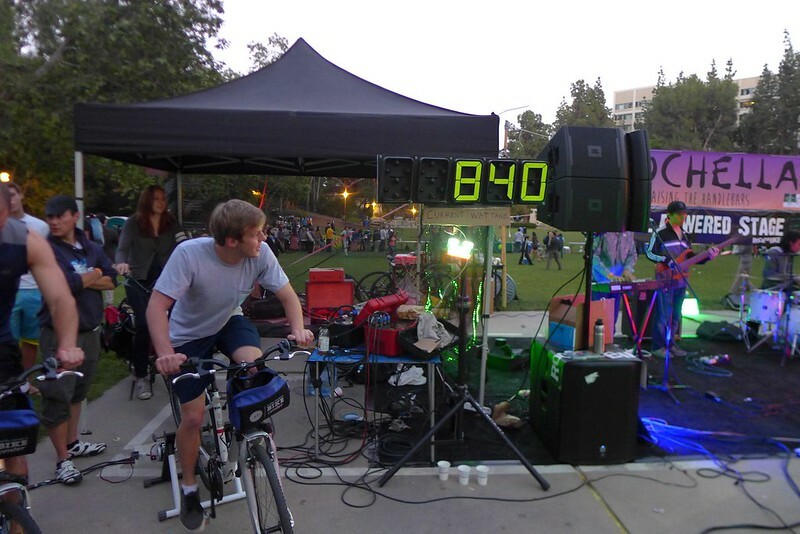 Hats off to student organizer Rachel Woods-Robinson for wanting to bring a human powered concert to UCLA. Check out the videos below. Many colleges and Universities produce some type of Spring Fling concert on campus. By involving Human Power, the campuses can take advantage of a huge learning opportunity. Above, a dynamic sign shows how much Wattage has been generated by students so far.